The new cocktails on the menu at BLR by Shōjō didn’t come from behind a bar. They actually originated 35,000 feet in the air. Beverage director Samir Zaiter was flying back to Boston after a trip to Spain earlier this year. The whole time he was on vacation, he had been thinking about how best to put to use the cordials license that BLR secured last year, he says. Along with Shōjō group owner Brian Moy and beverage director Michael Patterson, Zaiter was developing a creative cocktail menu that aligns with the bar program its sister spot is known for, with quality spirits, fresh juices, and irreverant names. 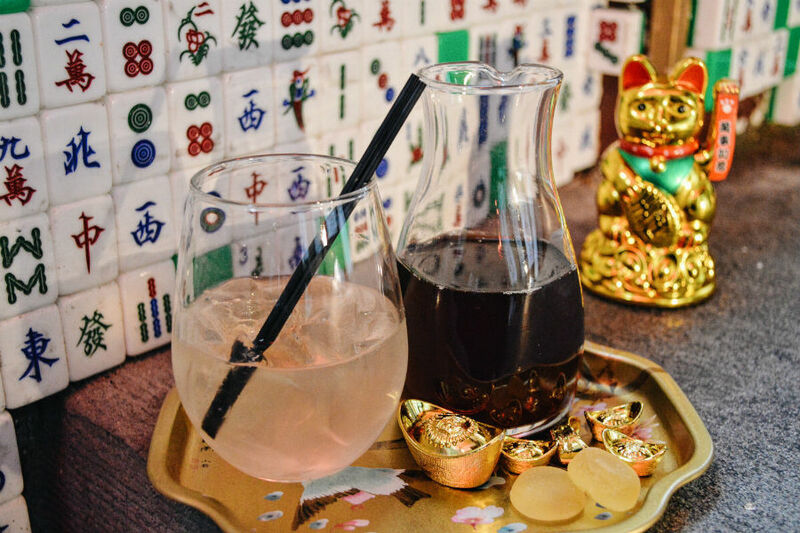 But he was limited by the cordials definition (spirits must be infused, and at least 2.5 percent sugar), and the fact that his small, underground restaurant doesn’t have a bar. While in Barcelona, Zaiter sipped many a gin and tonic, as is customary. The city’s way of serving the classic cocktail as a couple ounces of gin, alongside a mixer and elaborate garnish, is iconic, and riffed at Cambridge Spanish-ish bar, Pagu. It was also riffed on Zaiter’s Norwegian airlines flight. The gin and tonic he ordered 35,000 feet up was served in a compact kit, with personal bottles of gin, Fever Tree Tonic, and colorful flower petals and ginger candies to garnish it. 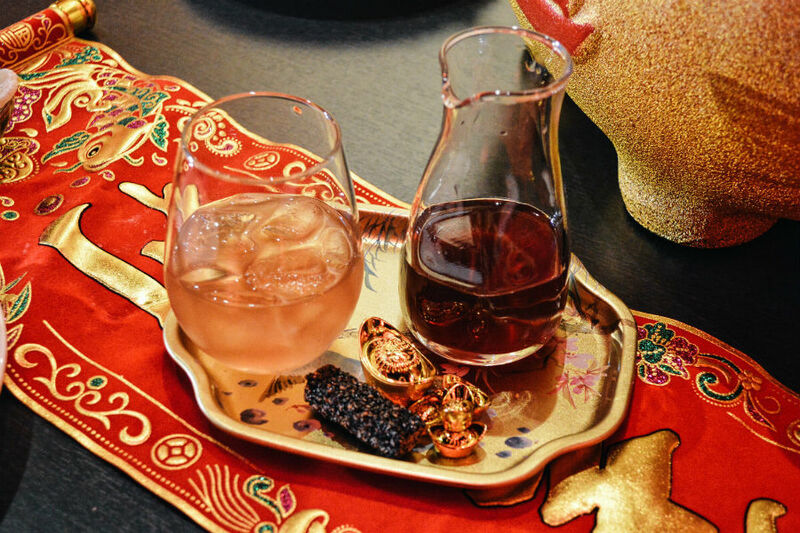 Since then, Zaiter and team have been playing around with different spirits they can stock with their cordials license, and different fruits, herbs, and other infusions. The first iteration of the four-drink menu has quietly rolled out—check it out below. The drinks all relate back to traditional cocktails: Yin for Your Yang recalls a Bee’s Knees, but with lemongrass-infused Barr Hill Gin, chrysanthemum honey tea, and yuzu candies; Double Down on Black is a Manhattan, using a bottled cocktail from High West tempered with bitters, and black sesame powder. 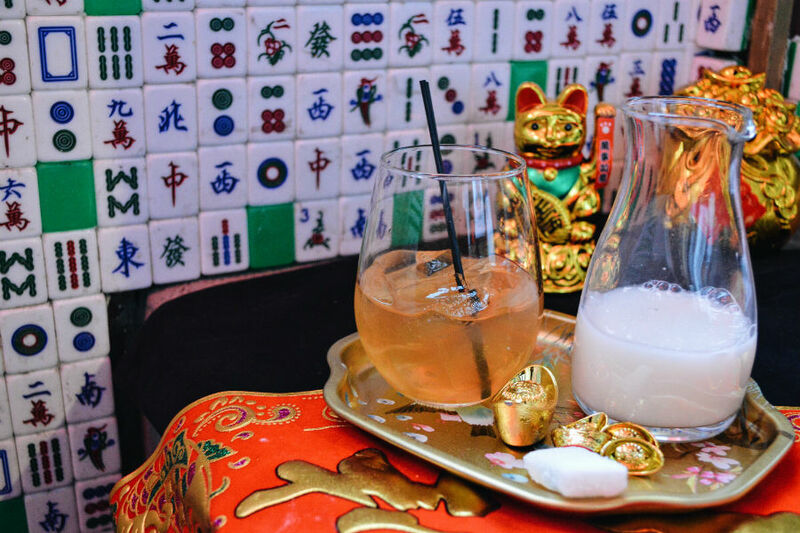 Each drink is served on a tray, with two ounces of booze on the rocks, a few ounces of a house-made mixer, and a candy to complement the flavors. They’re meant to be sipping cocktails, Zaiter says, and mixed to taste. 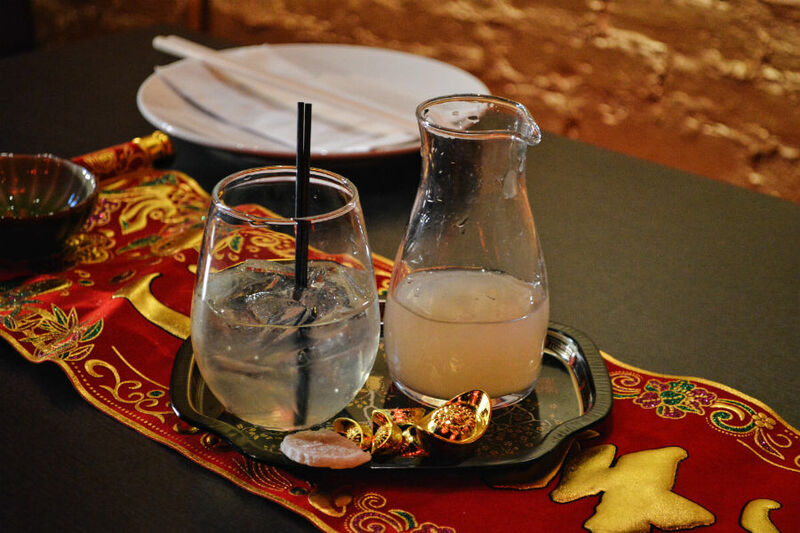 BLR by Shōjō has some house-made liqueurs on the menu now, too, designed for after dinner. But drinks are only one new development: Chefs Chenjun Li and Mike Stark are currently working on large-format menu items to debut in the coming weeks, and the restaurant group, which also includes the next-level ramen spinoff, Ruckus, plans to open up a second dining room above BLR for regular service in the near-ish future, too. BLR by Shōjō, 13A Hudson St., Boston, 617-338-4988, blrbyshojo.com.